In poor condition unfortunately. One seized valve. Ding in bell - not the drum kind! Includes case. Would suit restorer or someone savvy with mild repairs. Bb Lacquered Trumpet - Good Condition! 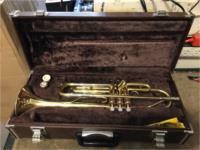 Perfect for Students - Comes with Vincent Bach 7C Mouthpiece and Case. 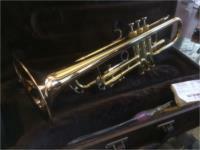 Bb Lacquered Trumpet - Good Condition! Perfect for Students - Comes with Yamaha 11C4-7C Mouthpiece and Case. Lacquered Finish Cornet - Bb - Pro Quality at a Student Friendly Price! Comes with Case and Mouthpiece! Yellow Brass Trumpet. Made in Japan late 1980s-early'90s. Some minor damage to the second valve tube. Includes case and Yamaha 11C4 mouthpiece. Made in Japan, gold plated, with 1 mouthpiece, valve oil and case. Great student model. With trumpet stand and music stand. Made in Japan. 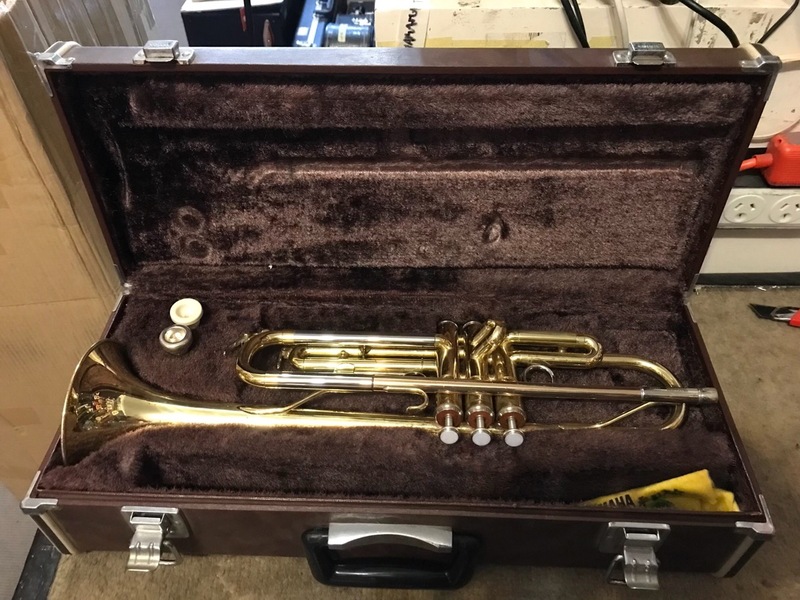 Vintage professional standard trumpet. With clear focused warm sound. Inc original case. Enter your email address below to get alerts for Trumpets.